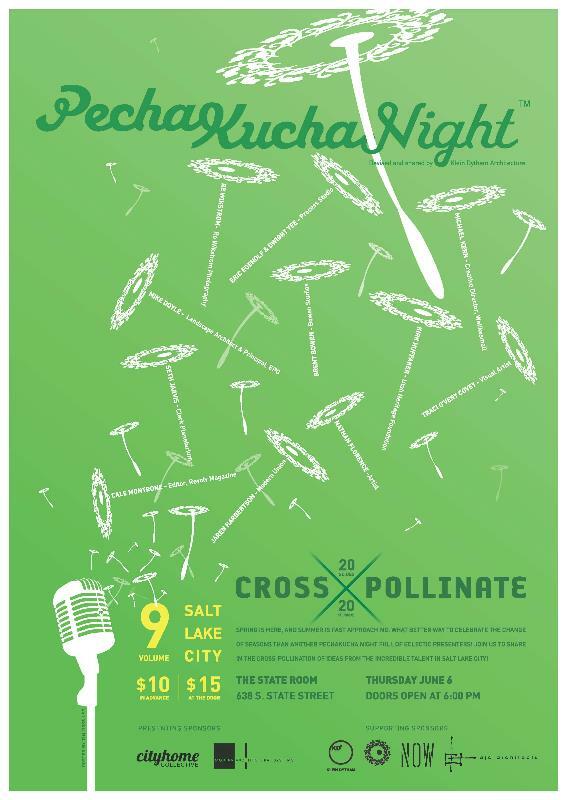 PechaKucha Night is here again and will be held (again) at the State Room, 638 S. State St., on June 6. Doors open at 6 p.m. Tickets are $10 in advance and $15 at the door but there are rarely tickets left at the door unless you buy them from a scalper and then they are a lot more than $15 so you probably should go to thestateroomslc.com and buy yours now. They sell out fast. As we told you in detail in our February 2012 edition of 15 Bytes, this exhilarating event, which started at an architecture firm in Japan and now is held in cities around the globe, is based on a 20 x 20 format. Each of a diverse group of people is asked to give a presentation of 20 slides that are each shown for 20 seconds on a topic that interests him or her. It invariably will interest you, too, and if it doesn’t it’s over in six minutes and 40 seconds and you are on to something else. There’s no “next slide” or “go back one, please” at PechaKucha (roughly “chit chat” from the Japanese) Night. These stimulating evenings, held about three times a year, draw a mishmash of interesting folk. You are invited to come early and stay late to mingle with people from all the design fields and beyond. The State Room has a full bar so you can chat over a drink. The “cross-pollination of ideas” is the point of it all.